Radical parties agreed to relegate eurosceptic Paolo Savona to the post of EU affairs minister, where he poses less risk to the euro zone than in the Treasury role they originally had in mind. 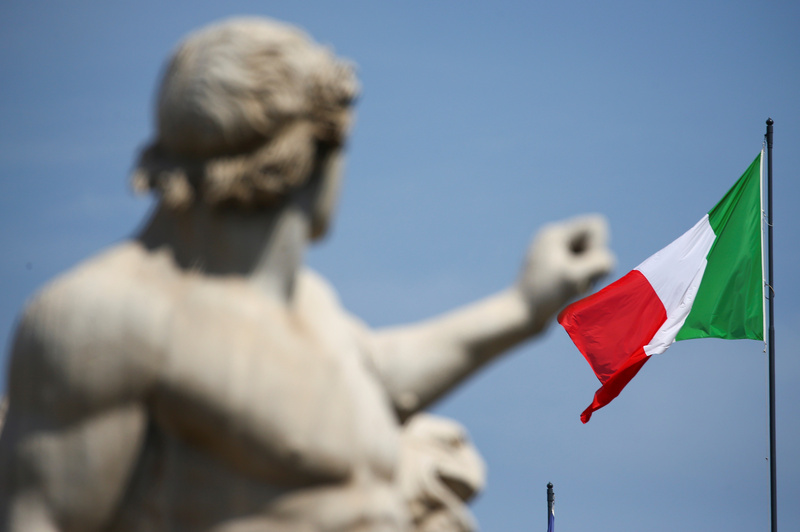 It may soothe markets, but doesn’t clarify Italy’s commitment to the single currency. The Italian flag waves over the Quirinal Palace in Rome, Italy May 30, 2018. Italy’s anti-immigration League and the anti-establishment 5-Star Movement agreed on May 31 to resurrect a proposed coalition government to be led by middle-ranking law professor Giuseppe Conte, averting the prospect of a snap election. Eurosceptic economist Paolo Savona, whom President Sergio Mattarella had vetoed as economy minister amid concerns he would drive Italy out of the euro zone, was offered the less prominent post of EU affairs minister. Economics professor Giovanni Tria will get the key economy minister job. Assuming the new Italian executive gets the green light of Mattarella, Italy’s first postwar radical government could be up and running during the week that begins on June 4.